Nigeria's main opposition party has retained control of the key oil-producing state of Rivers, according to official results from a vote marred by violence and delay. Awara -- a relative unknown -- was backed by President Muhammadu Buhari's ruling All Progressive Congress (APC), which was unable to field candidates due to a court ruling. 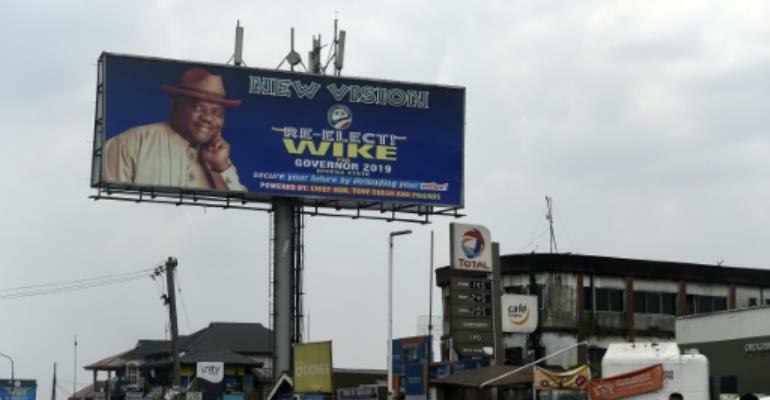 Wike dedicated his victory to people from the state "killed in defence of democracy", adding on Twitter: "They came with everything to destabilise us but we conquered." Nigeria's military categorically denied the men were among its ranks and instead accused armed "political thugs" of impersonation to carry out the wishes of their sponsors.